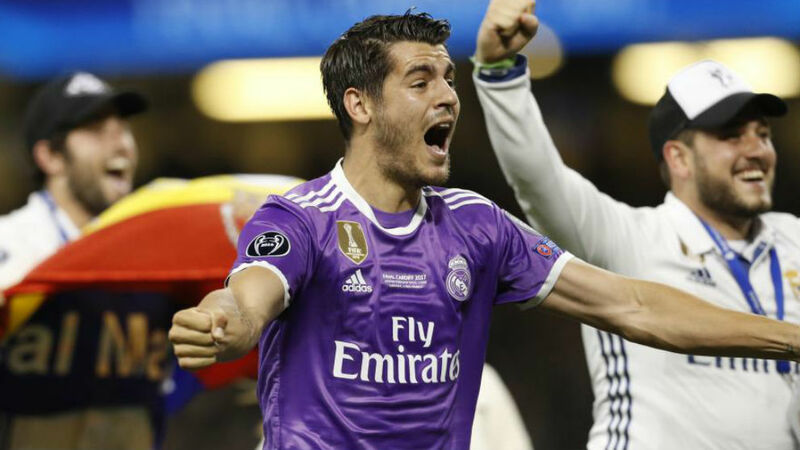 Following Real Madrid’s historic Champions League triumph, Alvaro Morata has now clarified the uncertainty surrounding his future in Spain. While a switch to England wasn’t discussed, the Spaniard put his cards on the table in terms of preferring a stay in Madrid. “Back in Italy? It’s difficult. Certainly not. I want to stay at Real Madrid,” he told reporters. Heavily linked with a return to Italy to join AC Milan, Morata had earlier stated that his future, be it in Madrid or elsewhere, is not in his hands. “Staying does not depend on me,” Morata said. “Right now I only want to celebrate our Champions League win. When pushed on the subject and asked about his short-term future, the forward insisted that he was looking ahead to the upcoming international matches. Determined to stress his happiness of the win over Juventus, Morata said it would be selfish for him to be unhappy with the season. “I cannot be disappointed, we have just won the Champions League,” he exclaimed. “It would be selfish for me to be unhappy. Morata managed 15 LaLiga goals for Real Madrid in 2016/17 despite starting just 14 matches.